This book is designed to teach project management professionals how to use Microsoft Project in a project environment. 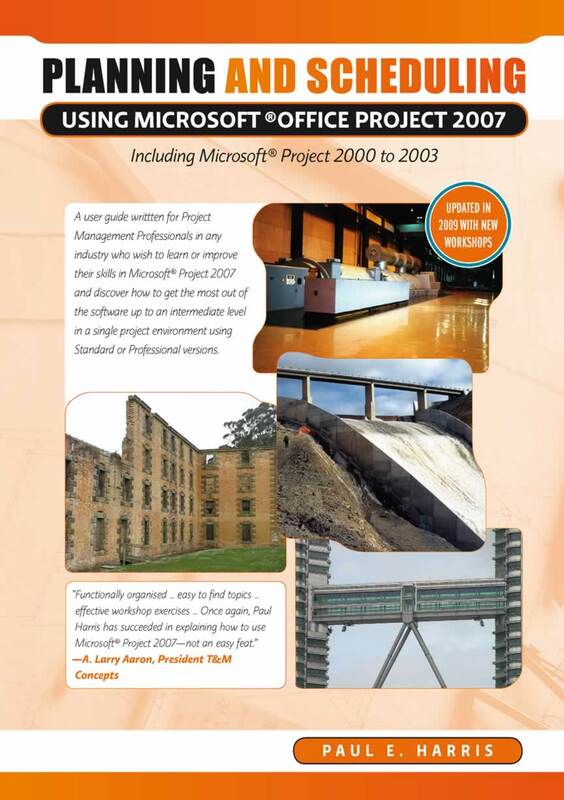 The book is based on Microsoft Office Project 2007 but may be used with Microsoft Project 2000, 2002 or 2003 as the book outlines the differences between the versions. This book may be used with Microsoft Project as either a self teach book, or a user guide, or a training manual for a two day training course. The book is aimed at Project management companies in industries such as the building, construction, oil & gas, software development, government and defence who wish to run their own software training courses or provide their employees a good practical guide to using the software. As well as training organizations who require a training manual to run their own training courses, and project managers and schedulers who wish learn the software, however are unable to attend a training course. This book also explains some of the more difficult calculations, that are often omitted in other books, in plain English, and includes; exercises to reinforce the learning outcomes, a large number of screen dumps, numerous tips and a detailed index. Every function and form in the book is listed in a very easy to use index that refers the user directly to the page and not to another index item. It has a chapter dedicated to the new functions available in Microsoft Project 2007 and covers some of the more advanced features of the software. Paul Harris holds an Honours Degree in Civil Engineering obtained in the UK and is a Certified Cost Engineer through AACEI International, a certified PRINCE2 Practitioner and Approved PRINCE2 Trainer. He has worked in the project controls industry for a number of years and has assisted many companies in a range of industries to set up and run project controls systems. His Melbourne, Australia based company, Eastwood Harris Pty Ltd, offers project controls consulting and training services with a strong focus on Microsoft Project and Primavera software.